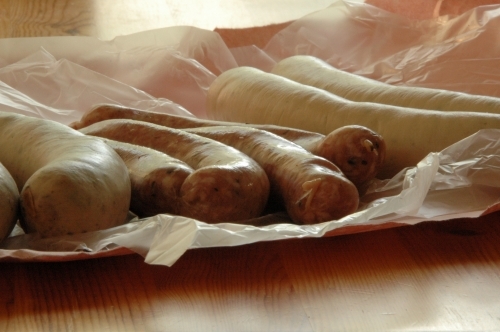 An Italian Sausage (in most places) is a regular pork sausage infused with spices and herbs such as fennel or anise. Italian Sausage is great in many different recipes. My favorite is a pasta dish I call “Italian Sausage and Zucchini Pasta”. 2. Using a large non-stick skillet heat the olive oil over medium high heat. Add the sausage and cook 7-8 minutes or until browned. Set aside. 3. To the skillet add the zucchini, garlic, basil, salt and pepper. Cook until zucchini is lightly browned. 4. Add the noodles to the pot and boil for 8-12 minutes. Drain and toss with the other ingredients. Serve immediately. Once you learn how to cook Italian sausage the recipes can be adapted in many ways. Italian sausage is a good source of protein and is healthy in moderation.